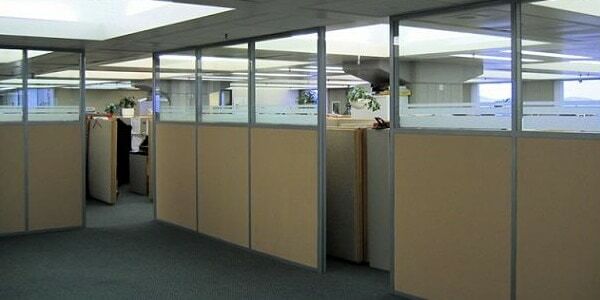 A movable wall is a modular construction product that is used in place of traditional construction to provide the same sound and sight privacy as a traditional wall. Components are pre-cut at the factory and assembled on site so the time to complete the construction of your office is reduced by 75%. Renovate your office without drywall dust, without the smell of paint, and without sending more waste to the landfill.